Photos by USA Today. Tom Brady roughing the passer - New England Patriots Quarterback Tom Brady throwing the ball while Kansas City Chiefs defensive tackle Chris Jones (right) dives for him. The road to Super Bowl LIII has been controversial after the outcome of one missed call from the referees in a recent game. On Jan. 20, the New Orleans Saints faced off against the Los Angeles Rams during the NFC Championship Game at the Mercedes-Benz Superdome in New Orleans. In the fourth quarter, Rams’ cornerback Nickell Robey-Coleman blatantly collided with Saints’ receiver Tommylee Lewis, helmet-to-helmet, forcing an incomplete pass. Two refs saw the pass interference and didn’t flag Coleman, leading to an outrage from both Saints and football fans alike. Many believed that if the call was made, the Saints would be in the Super Bowl alongside the New England Patriots, a thought shared by Biomedical major Isaiah Trevino. “New Orleans got robbed,” said Trevino. “I felt that it should have been called.” Trevino said that the replay clearly showed Coleman ramming into Lewisto force an incomplete pass. 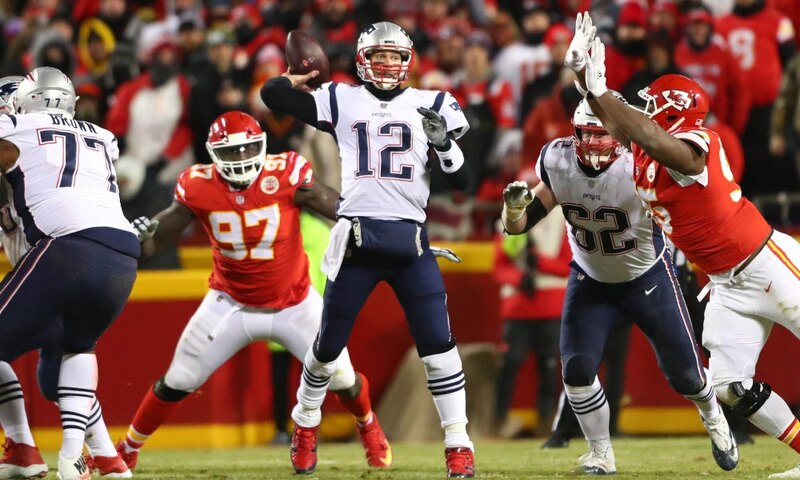 Another bad call reportedly made by the refs was against the Kansas City Chiefs’ lineman Chris Jones for a non-existent roughing the passer call for touching New England Patriots’ quarterback Tom Brady’s shoulder. But in that instance, Trevino explained how the referee thought Jones was roughing Brady. “The back judge called it. You could tell he was behind the quarterback,” said Trevino, “so he really didn’t get to see where. They called it hands to the face, and — seeing the replay — it wasn’t.” Trevino added that like the Rams-Saints game, they were both bad calls that were overlooked. After the controversial outcome of the Saints-Rams game, many people have joked around the referees, stating they were doing the “Bird Box challenge.” College Station even offered free eye exams for the referees. There was alsoa petition calling for a rematch of the Saints-Rams game. If the NFL were to go through with a rematch, people like Priciliano Diaz, Electrical Engineering major, believe it would leave more problems than solutions. Trevino felt the Patriots have earned their spot in the Super Bowl despite the non-existent roughing the passer call, but felt the Saints were cheated. Photo by USA Today. 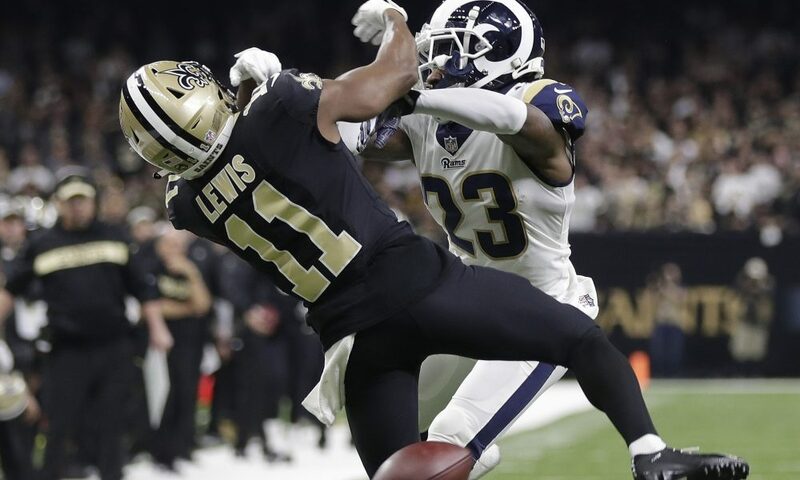 Saints rams pass interference – Los Angeles Rams’ cornerback Nickell Robey-Coleman targets New Orleans Saints receiver Tommylee Lewis, committing a blatant pass interference that was overlooked by the refs.